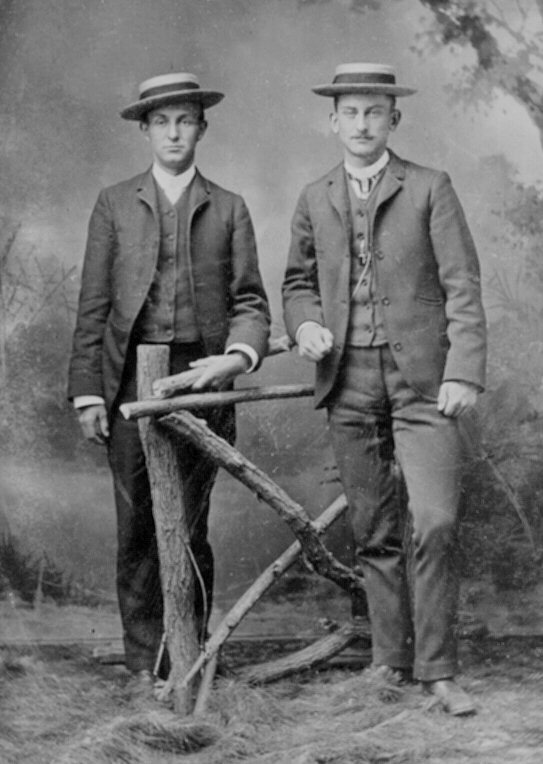 Comments: Burt Grant Moulton (Nee: ) | Sandy Creek NY USA | 1851-1900 | Comments: Burt Grant Moulton is on the left. His brother, Wilson Thaddeus Moulton on the right. Photo probably taken about 1882.